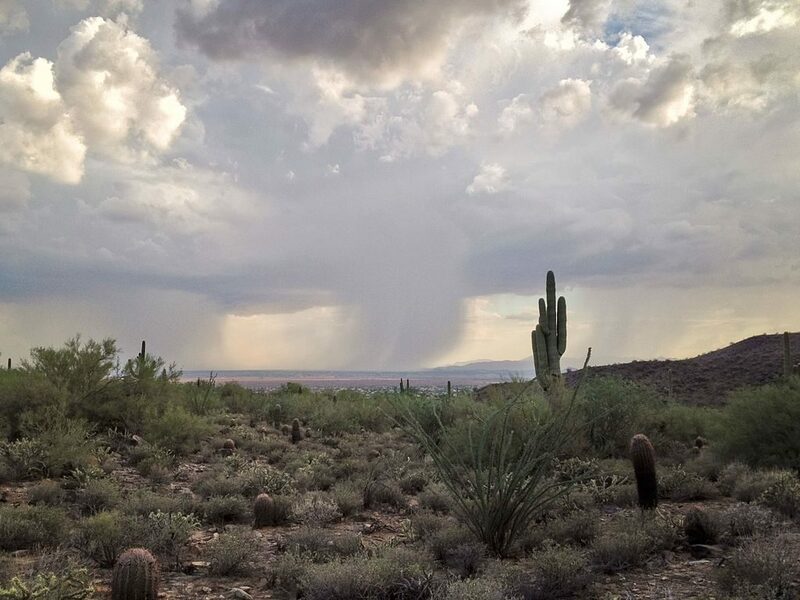 A professor in the College of Arts and Sciences (A&S) is part of a team of scientists studying monsoon activity in North America’s Sonoran Desert from approximately 20,000 years ago. 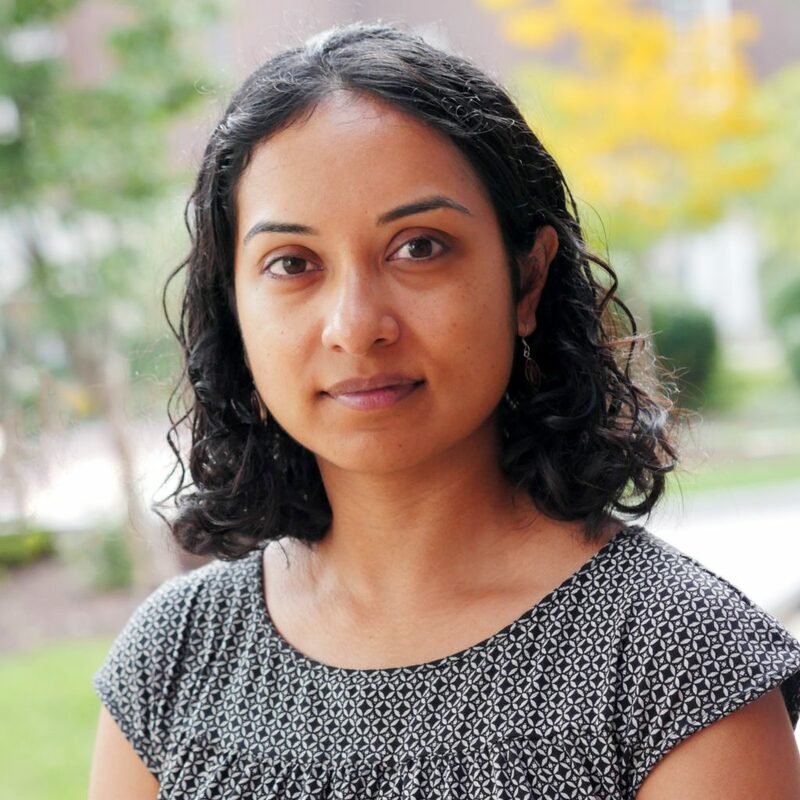 Tripti Bhattacharya, assistant professor of Earth sciences in A&S, is the lead author of an article in Nature Geoscience (Springer Nature Limited, 2018) about the impact of the annual monsoon during the last ice age. Such findings may help scientists predict how regional climates respond to future conditions. Bhattacharya’s co-author is her former postdoctoral advisor at UA: Jessica Tierney, associate professor of geoscience. Other co-authors are Jason Addison, a research geologist at the U.S. Geological Survey, and James Murray, professor emeritus of oceanography at the University of Washington in Seattle. Analyzing traces of leaf waxes from land plants that accumulated in deep-sea sediments over millennia, the team has reconstructed the history of monsoon activity in northern Mexico. Their results help settle a long-standing debate over whether or not monsoon activity shut down completely under the influence of cooling brought about by the ice sheets covering much of North America. During the Last Glacial Maximum (about 20,000 years ago), when mammoths and other prehistoric beasts roamed what is now northern Mexico and the southwestern United States, summer rains provided 35 percent of the annual rainfall, about half of today’s contribution. By diverting moisture from the tropics, the summer monsoon brings relief from months-long intense summer heat and drought to the arid lands of the American Southwest and northwestern Mexico. Bhattacharya says that if the region depended on winter rains alone, the Sonoran Desert would not be as biologically diverse as it is. Previous studies yielded inconclusive results, in part because records used to infer evidence of past monsoon rainfall tend to be more like snapshots in time, rather than providing more continuous climate records. For example, researchers have gained valuable glimpses into long-vanished plant communities, based on plant parts preserved in packrat nests called middens, or by analyzing the chemical signatures they left behind in soils. Those studies suggested persistent monsoon activity during the last ice age, whereas other studies based on climate modeling indicated it was temporarily absent. Bhattacharya comes to Syracuse from The University of Arizona. Bhattacharya and her team use a new method to study the equivalent of a forgotten, unopened book of past climate records—considerably different from previously studied climate archives, which, in comparison, are more like single, scattered pages. Forming a vast natural vault almost 1,000 meters below the sea surface, the seafloor of oxygen-poor zones in the Gulf of California contains organic material that has blown into the water for many thousands of years. Since the deposits have remained largely undisturbed from scavengers or microbial activity, researchers have isolated leaf wax compounds from the seafloor mud. Tierney pioneered the analysis of the waxy coatings of plant leaves to reconstruct rainfall or dry spells in the past, based on their chemical fingerprints, specifically different ratios of hydrogen atoms. The water in monsoon rain, she says, contains a larger proportion of a hydrogen isotope known as deuterium, or “heavy water,” which has to do with its origin in the tropics. Winter rains, on the other hand, carry a different signature because they contain water with a smaller ratio of deuterium versus “regular” hydrogen. “Plants take up whichever water they get, and because the two seasons have different ratios of hydrogen isotopes, we can relate the isotope ratios in the preserved leaf waxes to the amount of monsoon rain across the Gulf of California region,” Tierney says. Piecing together past patterns of the monsoon in the Southwest can help scientists predict future scenarios under the influence of a climate trending toward a warmer world, not another ice age, the researchers say. One way scientists take advantage of past climate records is by applying climate models to them, using the records to “ground-truth” the models. To test the hypothesis of whether colder times generally weaken the monsoon and warmer periods strengthen it, Tierney plans to investigate how the monsoon responded to warmer periods in the past. Future research will focus on the last interglacial period about 120,000 years ago. 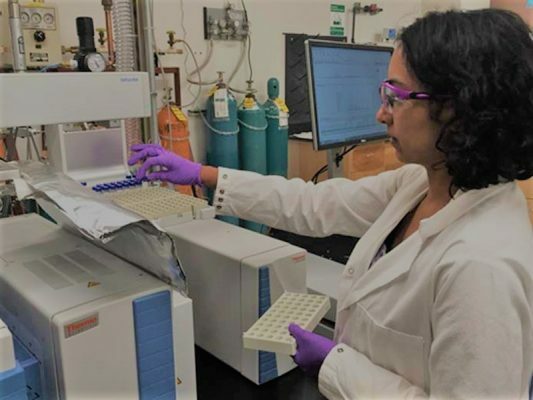 She and Bhattacharya also will study a period marked by greenhouse gas levels similar to those in today’s atmosphere: the Pliocene Epoch, lasting from 5.3 million to 2.5 million years ago. Having better records of the Southwestern monsoon also helps scientists understand how it compares to monsoons in other parts of the world that are better studied. “Our monsoon appears to be much more sensitive to the large-scale configuration of the atmosphere, whereas other monsoon systems are tied more closely to local ocean conditions,” Bhattacharya says. This story is based on the original by Daniel Stolte, UA’s senior science writer.